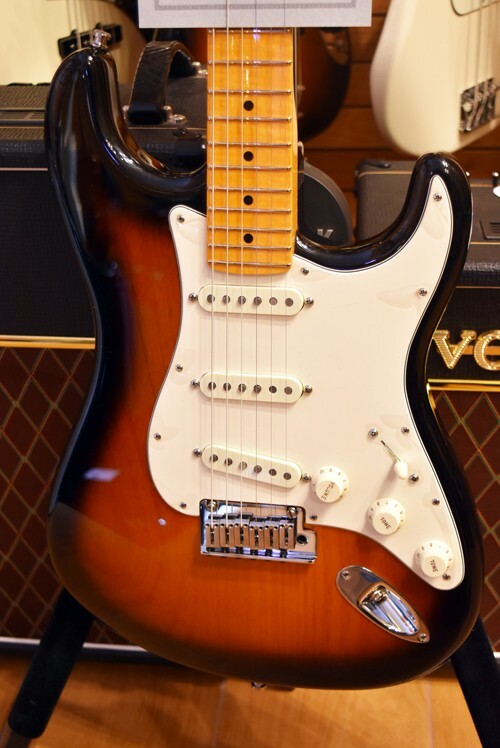 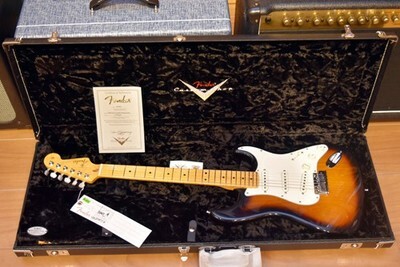 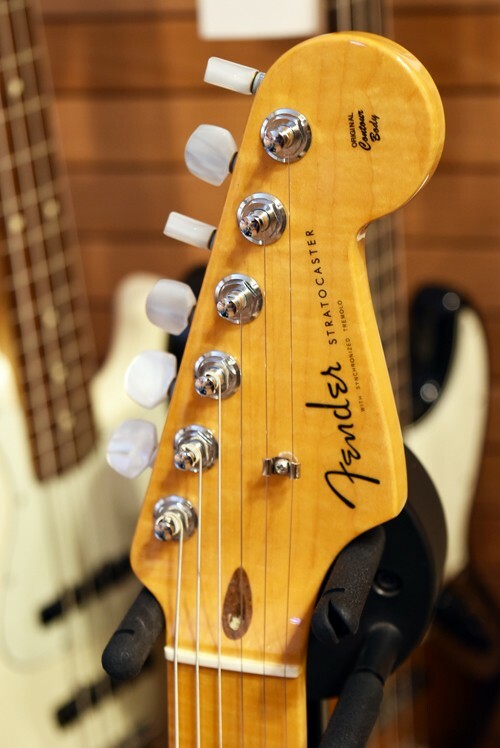 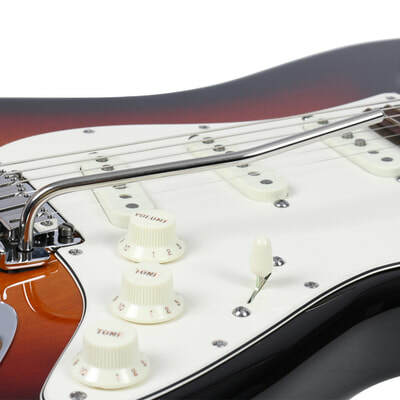 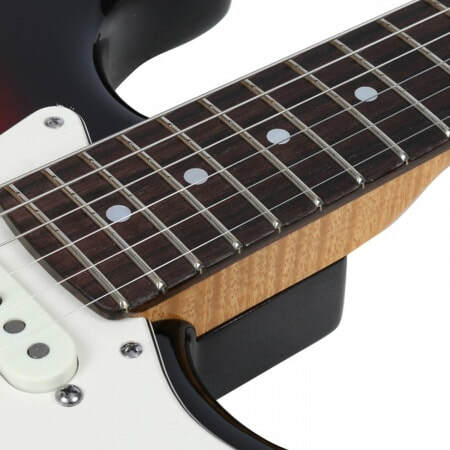 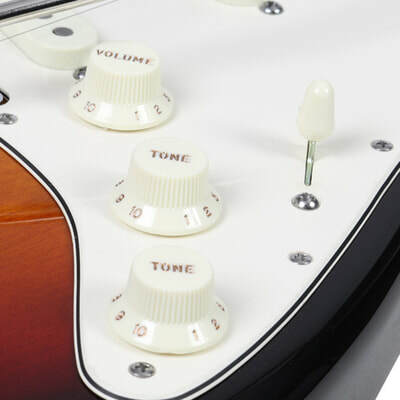 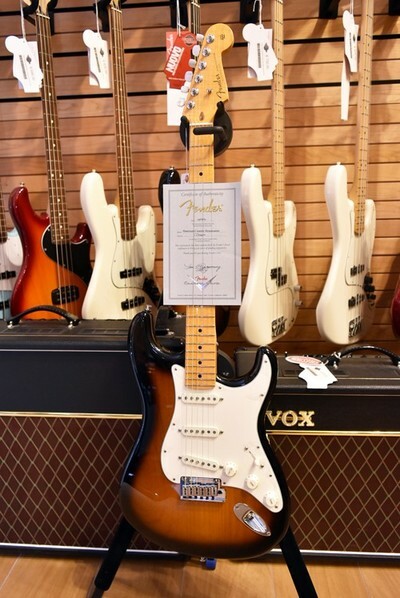 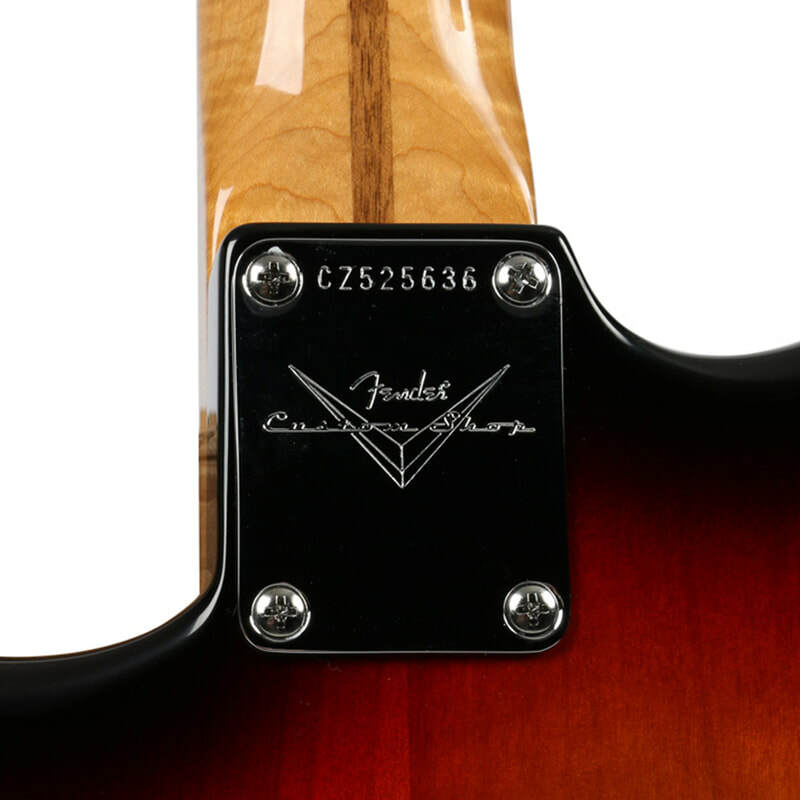 The Fender Custom Shop American Custom NOS Stratocaster takes the quintessential Fender electric guitar and decks it out with knockout appointments that make it a dazzling performer. 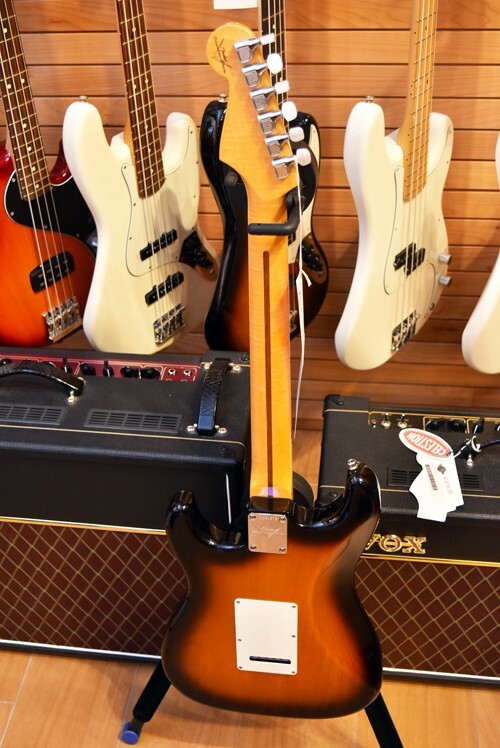 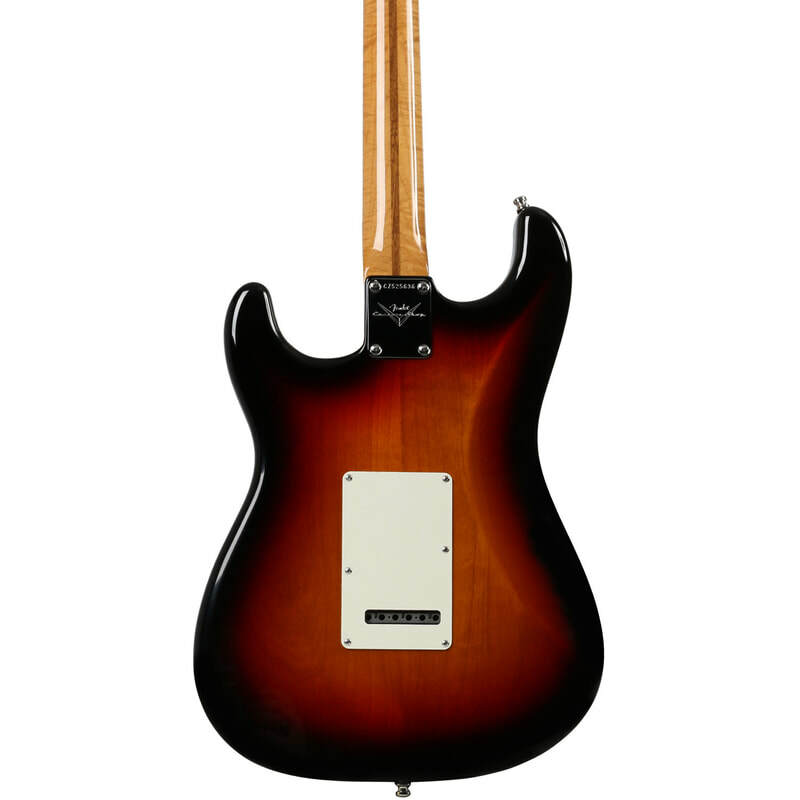 The two-piece lightweight alder body is sculpted with deep ’57-style contours for remarkable playing comfort, and comes in Two-Color and Three-Color Sunburst, Black and Shoreline Gold finishes with an NOS treatment that evokes the look of a brand new instrument in its original model year. 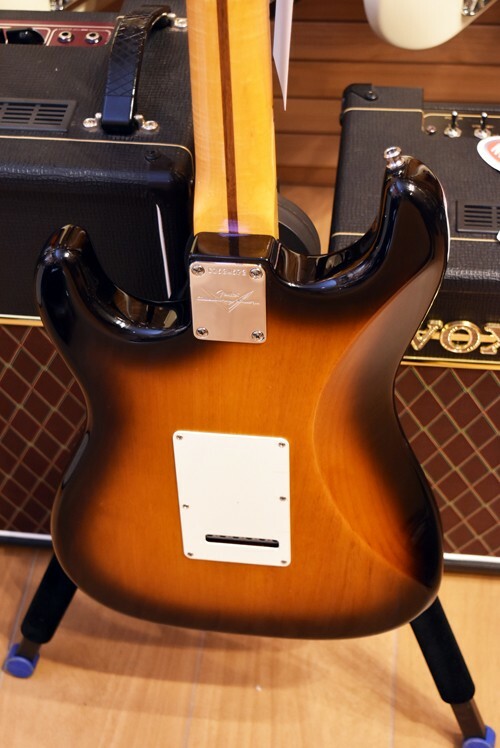 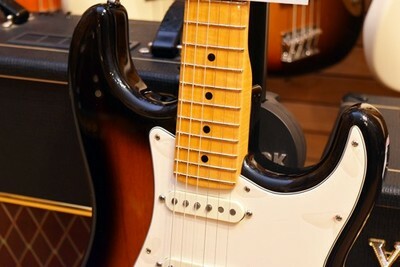 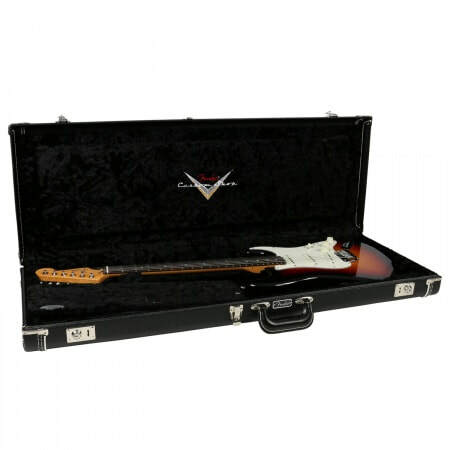 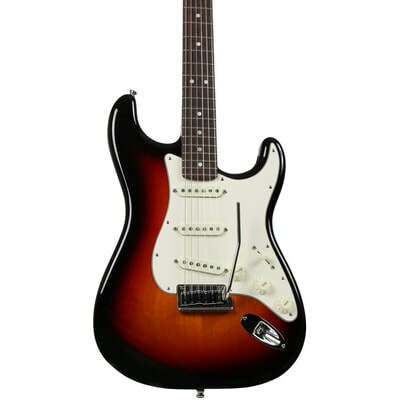 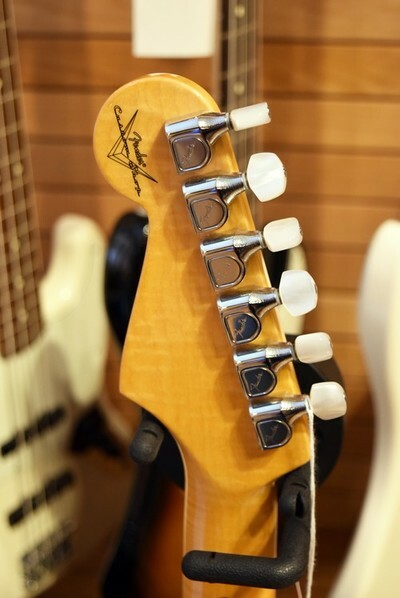 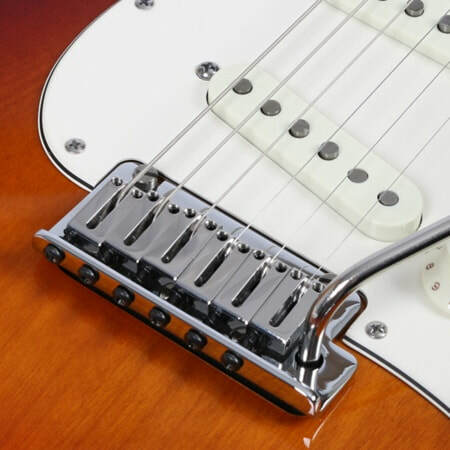 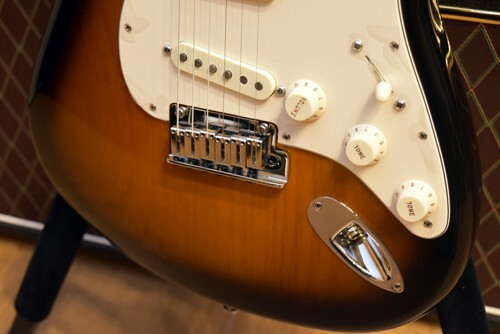 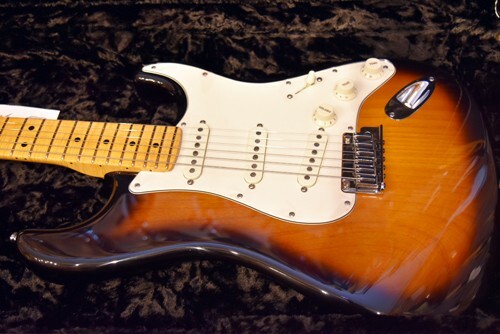 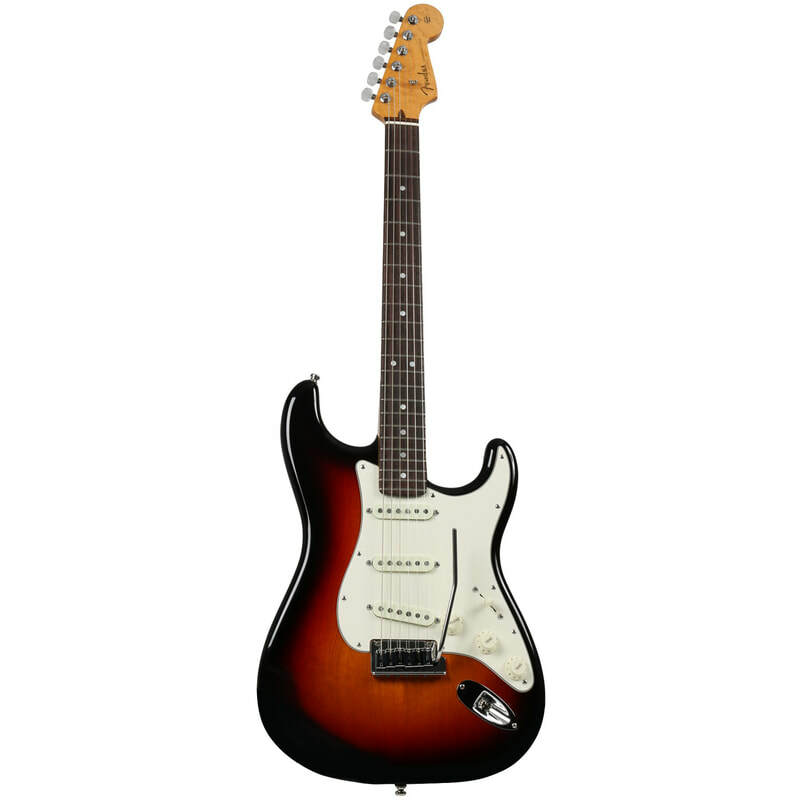 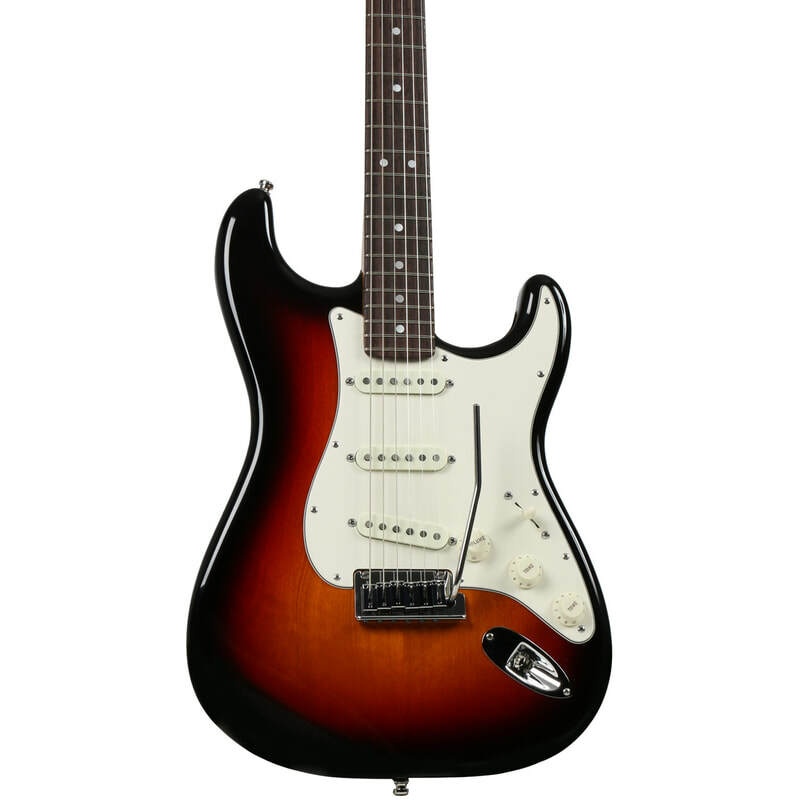 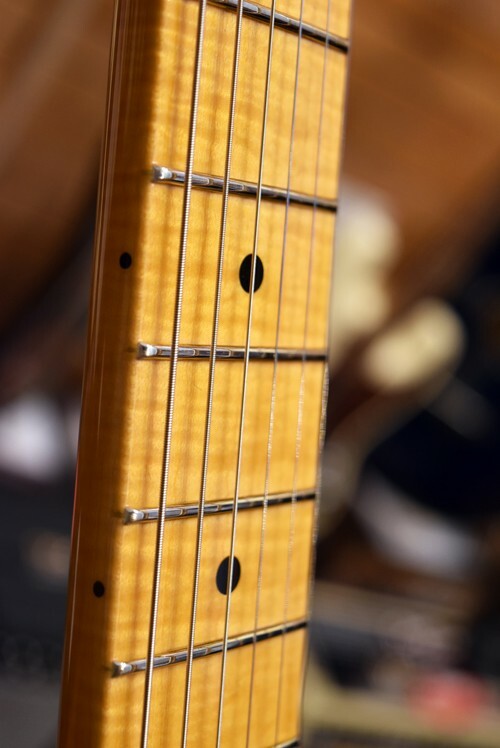 Singing Strat sparkle comes from hand-wound ’69 Stratocaster single-coil neck and middle pickups (middle pickup is reverse wound/reverse polarity) and a hand-wound Texas Special single-coil bridge pickup. 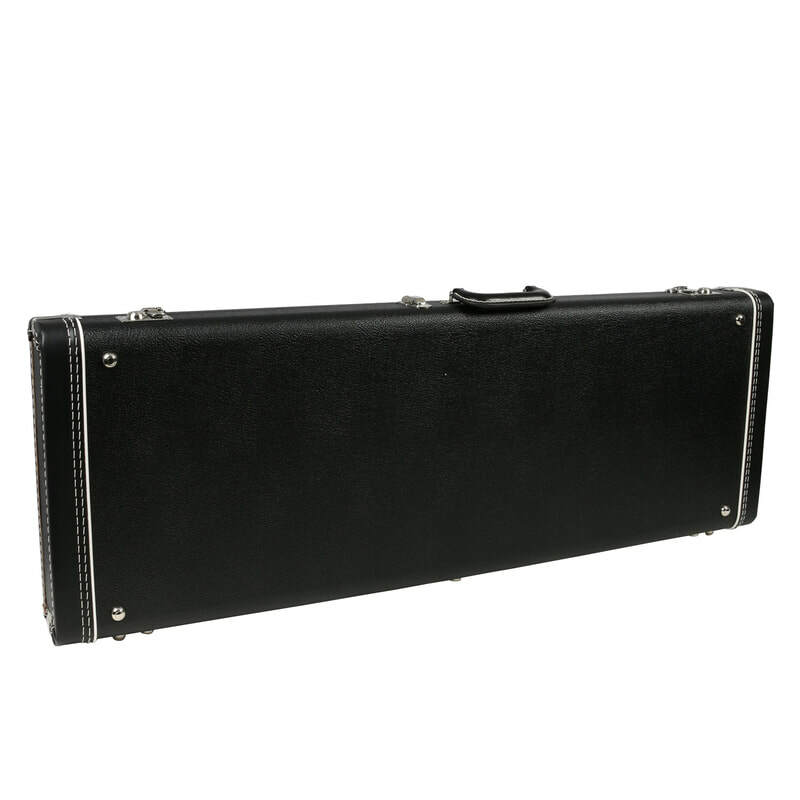 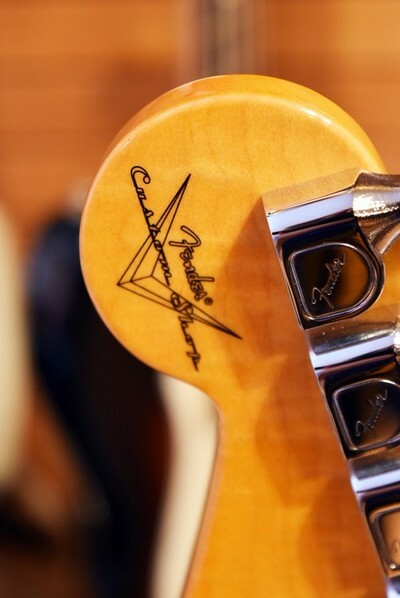 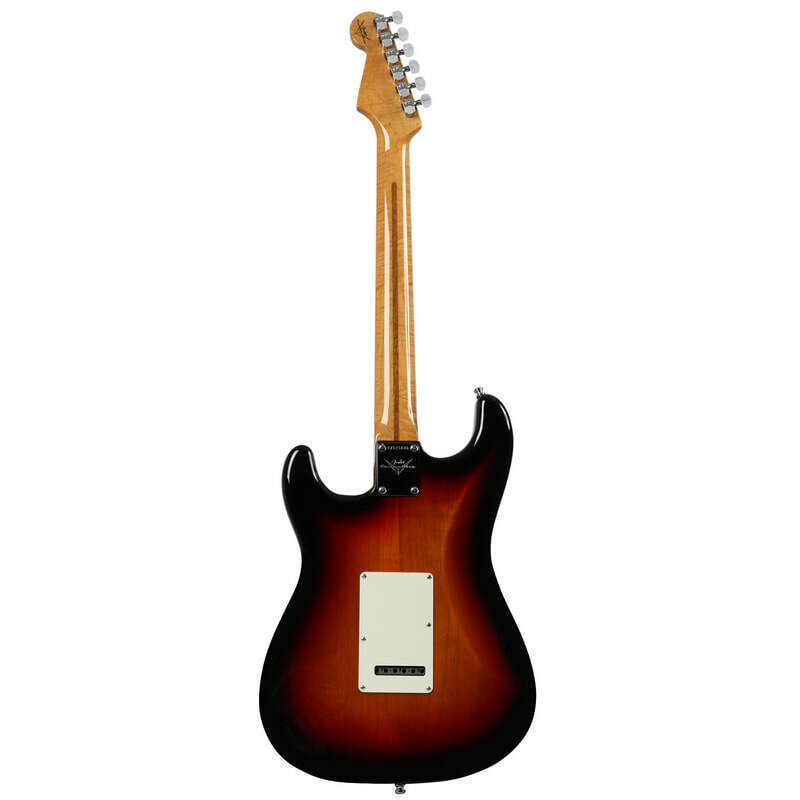 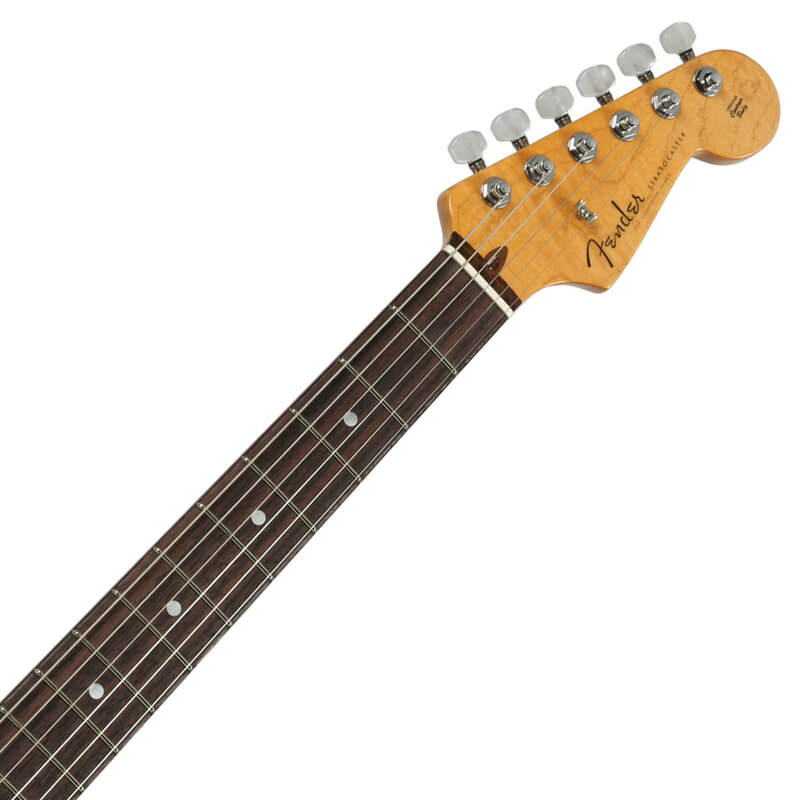 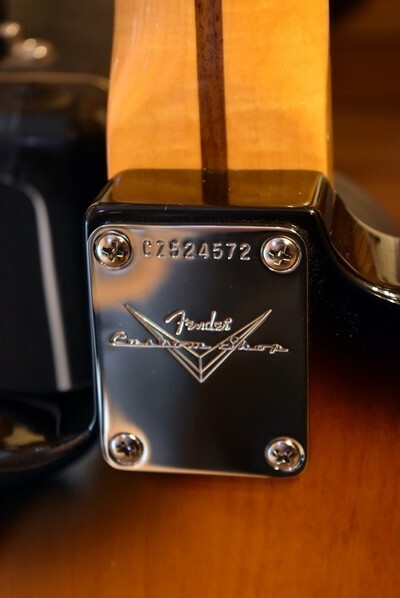 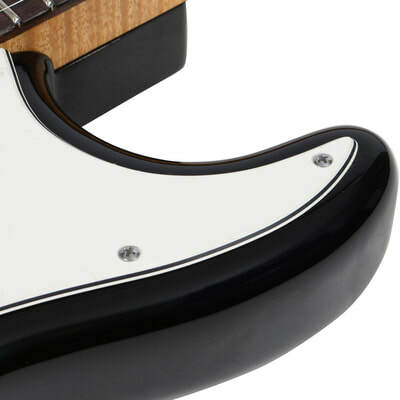 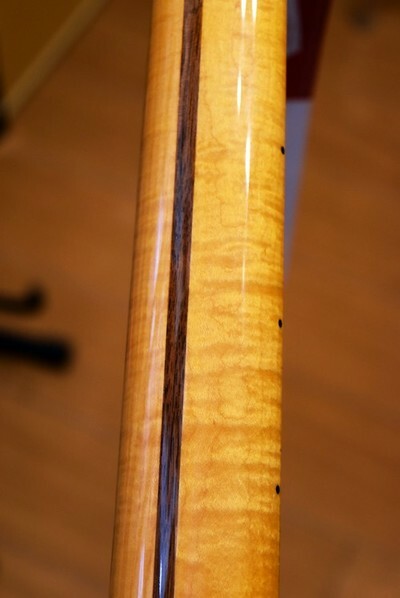 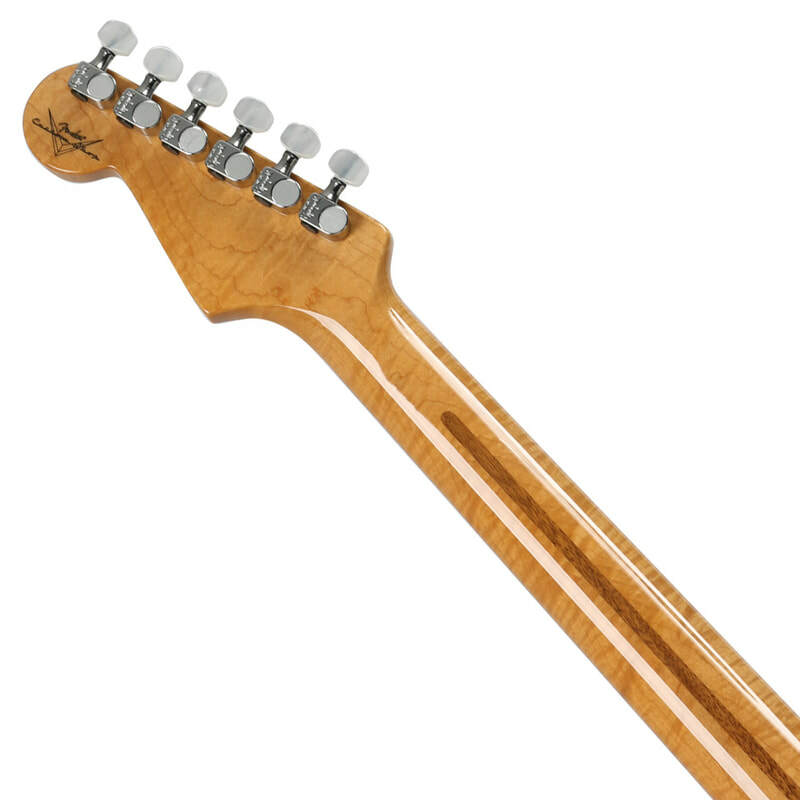 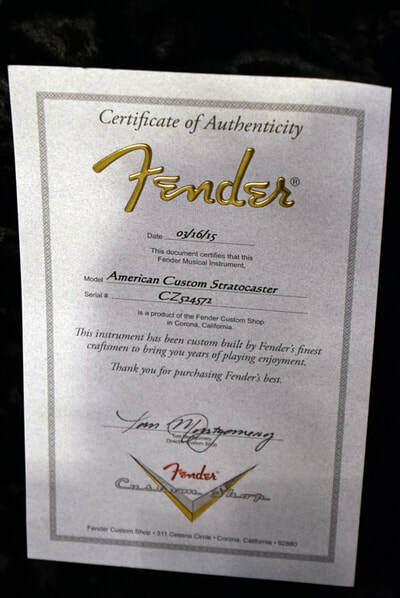 Other premium features include an AAA flame maple neck with “large C” profile and ’57-style small headstock; fast compound-radius (9.5”-12”) maple or dark rosewood “slab” fingerboard with rolled edges, bone nut and 22 narrow jumbo frets; five-way pickup switch; three-ply 11-hole parchment pickguard with countersunk pickup- and switch-mounting holes; vintage white control knobs and switch tip; custom deluxe tremolo bridge; and chrome tuners with pearl buttons. 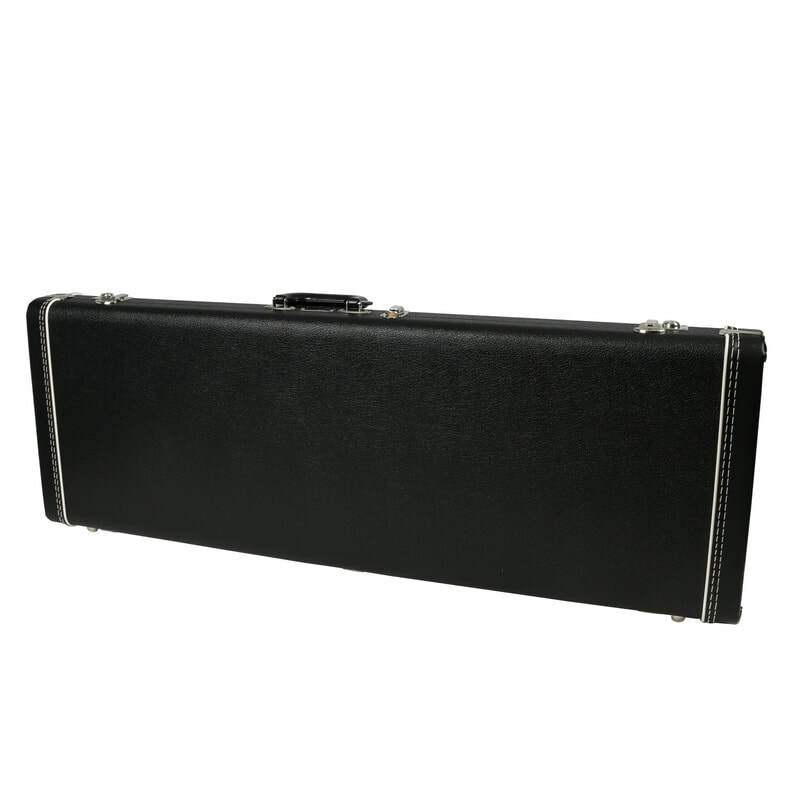 Includes black textured vinyl hard-shell case.